Think back to high school for a minute, as painful as it may be for some. Back in English class, if you're living in America, there's bound to be a handful of books that we all had to read due to them being essential books that everyone should read at one point in their life. Romeo & Juliet, Catcher in the Rye, To Kill a Mockingbird, The Glass Castle, and The Great Gatsby just to name a few. All of these stories rank as being some of the most important and best selling books of all time, but Fahrenheit 451 might just be the king of them all. As such, you've probably read it, but if not, Fahrenheit 451 is a fascinating and enjoyable read that I highly recommend everyone should check out. It's like that one scene from Sgt. Pepper's Lonely Heart's Club Band where Alice Cooper brainwashes people to sacrifice their free will for contentment and blissful ignorance, only for his plans to be thwarted by a revolution, but not as weird and it doesn't have Peter Frampton and the Bee Gees. And instead of Alice Cooper making people forget and detest music, it's books. And there's a lot of fire here. Like, enough fire to make The Fury sweat. Sorry, I got off track a little bit. Where was I? 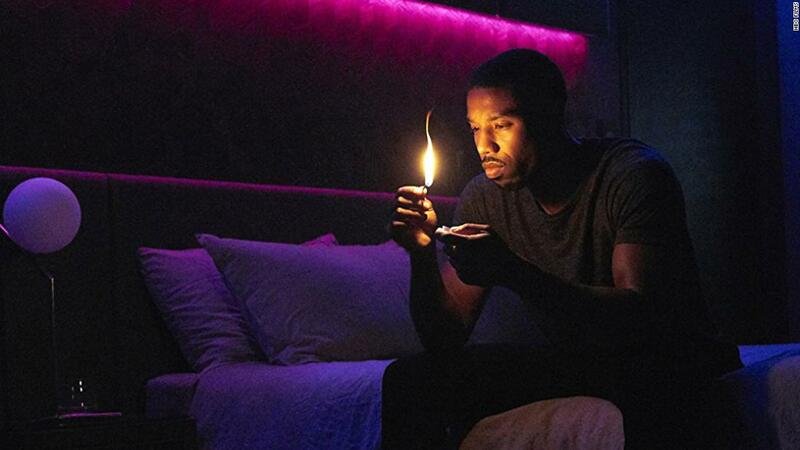 Oh yeah, HBO's Fahrenheit 451 is boring as tar and it's a gigantic disappointment. I'm going to cut right to the chase with Fahrenheit 451 because it's the worst kind of movie to talk about. It's a boring movie. It's a movie with no bite to it, no edge whatsoever. Oh sure, it may be technically competent and follows an understandable plot, but the movie does nothing to actually make its source material stand out or shine. It commits the worst sin that an adaptation can do; it makes you doubt if the original book was any good to begin with. Guy Montag is a firefighter in the not too distant future where instead of trying to put out fires, he starts them! Montag goes around with his firefighting unit, the Salamanders, starting fires in order to burn any and all books, stopping the idea of free will and keeping the entire population happy in ignorance without any conflicting ideas confusing them. As he keeps on burning books, he slowly starts to realize that maybe setting fire to books is a bad idea, and goes through a growth to realize that burning books is never the correct answer. Personally, I choose to believe he broke away from the Salamanders because his boss was Michael Shannon, and if you had him as a boss then you should realize that you're working for an evil organization. It's an interesting premise, and it's one that has been done to death in movies like Equilibrium and The Matrix, but Fahrenheit 451 was unique in that it directly dealt with book burning, which is something that people did and still do, and the ramifications of stopping knowledge and limiting the education of future generations. So let's take the premise and force inside of it a lame commentary about social media that didn't exist in the original book, shall we? Now look, I fully understand the need to adapt a property to film and that there are going to be additions and omissions from the movie version. Even though Fahrenheit 451 is a relatively short read, trying to cram the entire book into an hour and a half would be foolish, so change is good. Some scenes in the book wouldn't work well on screen, so changes had to be made. Even adding a few scenes that weren't in the original book can work as long as the changes add a new layer to the finished product. Even Ray Bradbury, the original author, when he was adapting the book into a play, wrote a new scene to specifically flesh out John Beatty's character. My problem comes from when the new material comes in and supersedes what the original book was about and does it poorly. We've seen hundreds of dystopian future movies, and in the past decade, we've seen plenty of movies that have shown off what the future would look like with an over reliance on technology and social media. It's been done to death. So what does Fahrenheit 451 add to that when it wasn't even a part of the discussion to begin with? Outside of some half-assed themes, the movie is overall just slow and dull. You keep expecting something of interest to happen, but nothing does until the last 15 minutes. The movie spends nearly an hour just watching Guy and Beatty do their job, which should be interesting, but feels just an engaging as if they were working desk jobs. I actually do feel bad for the actors here, because it's clear that they're putting a lot of effort into this. 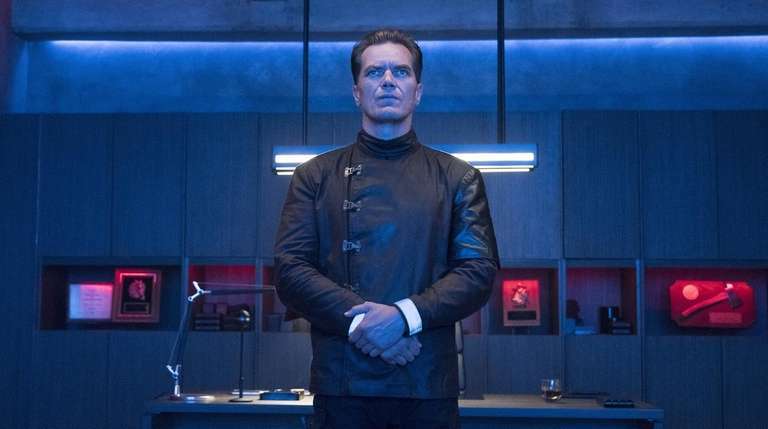 Michael B. Jordan does a fantastic job at Montag, showing a rough edge and a brash ego that suits the character perfectly for the first half of the movie, and Michael Shannon is literally just being Michael Shannon, which is fine by me. Everyone clearly gave it their all for this movie. There are some scenes which work incredibly well, like when a woman fights to protect her books, and whenever Montag and Beatty are alone in the final act of the movie. But even though the acting is great, I just wish I could see half of the sets and characters. It's always so dark and bleak that it is literally hard to see what is happening. Everything had to take place at night and everyone has to wear black to make it impossible for anyone to be visually engaged with the story. Thankfully, whenever the movie does have the tiniest bit of light, the shots that show off the world are pretty well done. But with every good element I can praise about Fahrenheit 451, I can think of just as many parts of it that bore me to tears. Trust me when I say that I wanted to have something of merit to talk about here. Halfway through the movie I was thinking about how I could talk about the changes between the book and the movie, but by the end I didn't even care to mention them because they're symptomatic of a bigger problem. I don't care that Fahrenheit 451 changed its central commentary to be relevant because I don't care about anything to do with this movie. This is apathy personified. The best I can do with Fahrenheit 451 is shrug my shoulders. Yeah, the movie is worthless, but the book is still amazing, so what harm did this movie really do? It didn't hurt the legacy of the novel, so there's nothing for me to get upset about. It's just a weak movie with some bright spots and a lot of effort put into it, but in all of the wrong places.